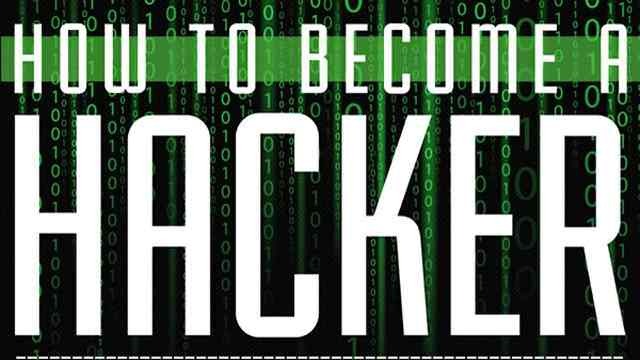 3 Necessary things to become Expert Certified Hacker : Being on road of Born Hackers club, i wish to share my thoughts which you might find useful in your journey to become Expert Certified Hacker. Hacking is always a fun, its something like playing pranks using your brain. Most of us always think that Hacking is just related to cracking someone’s email or Facebook and then embarrassing the victim by doing childish pranks with his email or Facebook accounts. But if i share the truth, its absolutely not at all what we call word Hacking. I am not here redefining that word Hacking but its necessary for newbies/ignorant to know what actually is Hacking? So i hope you all are looking forward to become an expert hacker. 1. Media/News : They always manipulate the word Hacking and always portray it as bad thing. Just for making their news spicy they portray the complete Hackers community as Criminals. 2. Parents/Elders(specially relatives who loves to gives advice’s) : I keep them in ignorant list because they never had hands on Hacking and what they listen from Media/News, they impose on their children and force their children to quit Hacking. 3. New Comers/ Newbies in Hacking : Most peoples are attracted toward hacking for one the following reasons. First to play pranks with their friends by hacking their emails or Facebook accounts. Second, the persons who want to take revenge and few times wanna hack girlfriends account. Hacking is art of exploring the hidden things that are being hidden from general usage and finding loop holes in the security and use them to benefit the others. I hope now you all understand why i said first learn about ignorants and newbies. They completely forgot about the security aspect before defining above definition. For every good there is bad and what i thinks people enjoys bad stuff. Now lets discuss what are 3 Necessary Things to become an Expert Certified Hacker. We all know man is a born hacker. He keeps on exploring new things and new ways of doing things smartly and this curiosity ends with his life. 1. Different Mindset i.e.Thinking stuff in different manners (Think differently ) : There are several ways of doing things. Say i want to send a email, some people will use GMail to send mail, some will use yahoo and some like us(Hackers) will use telnet or self set up mailers. 2. Curiosity (What new you have learned today?) : You must be curious in how things work rather on i have to use this. For example: you want to send email, so you must be curious in what is going inside like how mail is sent, what process is going in background. The day you get this ability none can stop you in becoming a great hacker. 3. Learning is the Key : The day you stop doing this you will again become a noob or novice. Continuous learning is the key. Never limit your scope of learning things and languages, more you learn more differently you can think, more you discover and more you enjoy. That’s all from my end for today. We all know we are born Hackers but we are lost in somewhere middle. May be i can act as torch for you to show you correct path. I am touching dude, no reason, no offended. I always thinking helping people is good thing and seriously, I was learn about hacking about 5 years (2015), but mindset is always bad and exploit other. Maybe the way is here.